Bell apple farming business in Nigeria can rake in millions of Naira for you if you know what to do. The few people that ventured into this farming in Nigeria in the past few years have been smiling to the bank. Although bell apple farming business in Nigeria is new, it comes with great opportunity if you invest in it. According to a publication in Sun newspaper on 12th December 2017 by Steve Agbota, bell apple can save Nigeria about 60% forex spending on imported apples. You can imagine what will happen when Nigeria stops the importation of apples and embrace bell apple. This means lots of profits for bell apple farmers in Nigeria. Bell apple farming business in Nigeria is a profitable agribusiness venture you need to consider. The bell apple is bigger in size and has higher juice content that the imported apples. 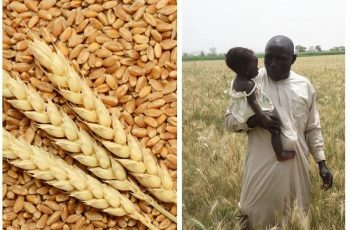 It is very appalling that many Nigerians have failed to tap into the huge potential and opportunities in the agricultural sector. Bell apple farming business is a great way for you to explore the abundant opportunities in the agricultural sector. 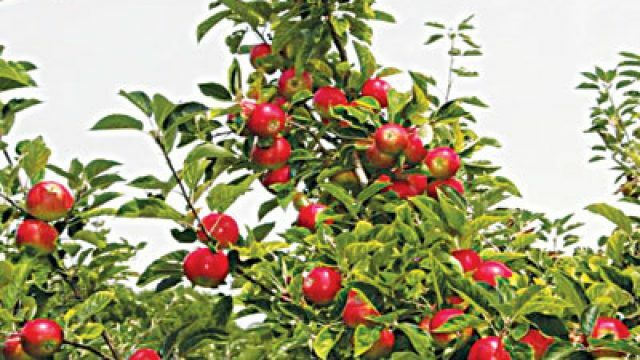 According to the publication on sun Newspaper, you can make up to N10 million every year from bell apple farming. This is simply by farming your bell apple on one hectare of land. If you are in doubt of the profitability of bell apple farming in Nigeria, then you need to read this. There are lots of business opportunities that come with bell apple farming in Nigeria. You can make good money by raising bell apple seedlings for sell. The good thing here is that within three months the seedling can be ready for the market. You only need a startup capital of between N20, 000 to N50, 000 to start the seedling business. Reports from industry watchers have revealed that now is the best time for you to invest in bell apple farming business in Nigeria. This is because the demand for the bell apple is fast growing among the fruit juice manufacturing companies in Nigeria. Currently in Nigeria, states like Edo, Delta, Akwa Ibom, Ogun, Cross River, Ondo, and Lagos are already into bell apple farming business. 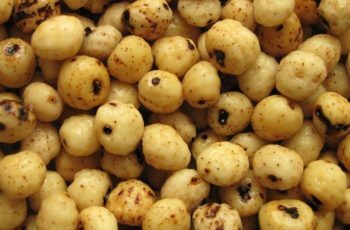 You need to know that it is also cultivated in northern states like Plateau and Nassarawa. The main reason you need to venture into bell apple farming is that the business opportunity is well under exploited. You also have to factor in the vast Nigerian market as well. According to the founder of Bell Apple Wealth Ventures, one tree can yield up to 1,000 apples per harvest. You can harvest your bell apple tree for up to four times in a year. This tells you how lucrative bell apple farming business in Nigeria is. Now that you have known the vast business opportunities that abound in bell apple farming business, let’s see what it takes. Below are the major requirements for starting your bell apple farming business in Nigeria. There is no way that you can succeed in any business venture if you don’t have a plan in hand. Bell apple farming business is no exception to the above fact. The first thing you must do when starting your bell apple farm is to prepare a good and well-detailed business plan. This is not negotiable if you must be successful in the business of bell apple farming. There are lots of benefits you can drive from the business plan aside from just being a guide to you. It improves your chances of getting a loan or wooing an investor to invest in your business. There is no right thinking investor that will consider your business if you don’t have a business plan. After you have developed your business plan and your startup capital is ready, the next step is to get the land. On a general note, the Nigerian soil and climatic condition is conducive for bell apple farming. You can add fertilizer to the soil in order to improve its fertility and by so doing increasing the yield. After acquiring the land for your farming business, the next point of call is the land preparation. You need to make sure that the land is well cleared and tilled for easy planting of your bell apple seeds. One hectare which is equivalent to 15 plots of land is enough for you to start bell apple farming business in Nigeria. Bell apple takes up to 3 years from the day of planting for it to attain maturation and start fruiting. This tells you that bell apple farming business is not a get rich quick scheme. For you to enjoy the huge benefits in this business, you need patience and perseverance. Once your apple tree starts producing fruits, it can be harvested for up to four times in one year. You can agree with me that it makes a very good business sense to invest in bell apple farming in Nigeria. Bell apple have great nutritional and medicinal value and this has increased its acceptability. The major business opportunities includes, the sale of bell apple in Nigeria, sale of bell apple seeds, seedlings, etc. The bell apple can also be used in the production of fruit juice, jelly, jam, marmalade, apple cider, red win, etc. In fact, the business opportunities in bell apple farming is too numerous to count. So, if you are looking for an agribusiness investment in Nigeria, why not start with bell apple farming? We provide you with the best and well-detailed business plan on bell apple farming business or any agribusiness plan you want. Simply give us a call on +2347037281050. All it takes is just one call and you will be glad you did make the call.